Unai Emery is still not sure if he will include Mesut Ozil in the squad for the weekend's North London derby. Arsenal head to the Wembley Stadium to continue their struggle for a top four finish in an encounter that will be heated as usual. 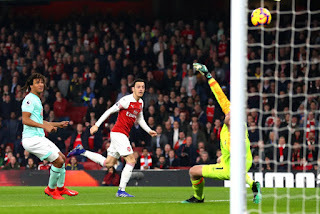 The Gunners came out victorious with a 5-1 win over Bournemouth on Wednesday night with Ozil's performance being the main talking point. He scored a superb goal to give his side the lead in the fourth minute before going on to provide an assist to the joy of the fans but even as many think it is time he gets constantly involved in games, the boss has still not taken him as a regular starter. The former Paris Saint Germain manager during his post-match press conference yesterday said that he does not know if Ozil will partake on Saturday as he will still have to make analysis before picking anyone. "I am going to watch this match for analysis and I am going to watch Tottenham,” he said. “After I will decide my game plan against them. "We need every player and every player on the bench and we need big commitment from every player. “If we can play with a big performance I want every player to help us. "I think [Ozil] is happier with us. I am now also very proud of our players. He helped us with his quality." 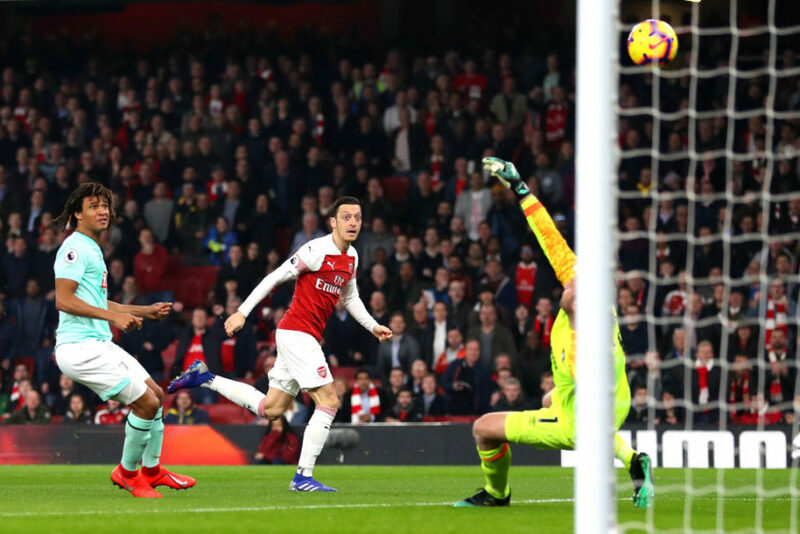 It has been proven times without number that Ozil is an integral part of the squad which I want to believe Emery is also aware of. Without him, the team finds it difficult to make any reasonable headway in attack, so including him in the lineup should not be something one should think twice before concluding.